River of Golden Dreams guided trips are value added.Guides provide great value in several areas. 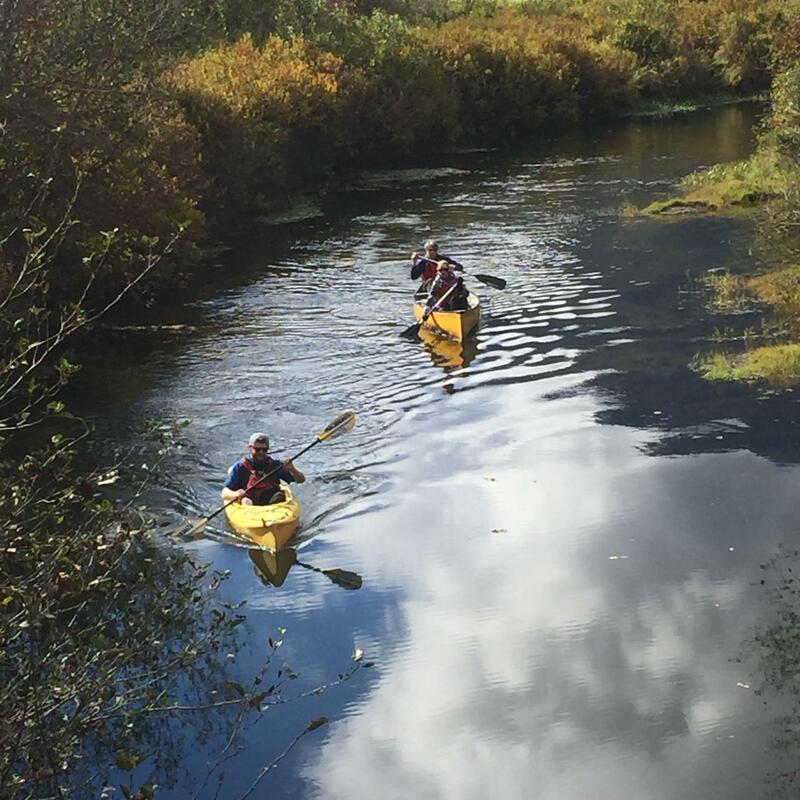 Paddling a river is very different than paddling on a lake, and our guides will teach you steering skills to successfully keep you out of the stream side foliage. They are certified instructors , they'll let you know what to expect ahead on the river and what you'll need to know. They assist with you on advising whether to portage fast sections or paddle them. They make your trip easier. Guided trips have way less incidents than unguided. Very seldom to guided guests flip their boats and if you do the guide is there to assist. Includes Instructor, lifejacket, paddle, shuttle back from river end. We have high quality equipment and the best trained guides in Whistler. If you would like to book within 72 hours please call for availability at (604)-932-3111 and we will do our best to accommodate you. No discounts apply to bookings made within 48 hours. If you have a group of 10 or more please contact us at 604-932-3111 so that we can accommodate you. Save 15% on your online booking by using Promo Code Promo19PG. Discount applies for a limited time only. Discount applies to Adult rates only as children are already discounted. Обратите внимание: Это предложение "под запрос". Только при подтверждении вы получите возможность оплатить.